I cant even tell you how excited I am for this book to be made into a movie! Just having watched the trailer I got goosebumps all over!!! I love watching the things I imagine while reading, come to life in a movie. The trailer alone amplified my previous images and was so close to what I saw in my mind while I paged through book one. Suzanne Collins is so wonderful at creating a setting that you can visualize exactly what she wants you to see! She gives enough detail to create a picture that is unforgettable. The movie comes out March 23, 2012!!! 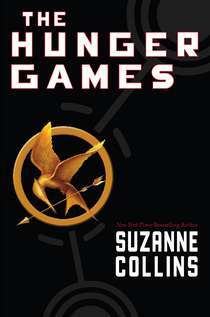 I LOVE this series and I can't wait to finish, Catching Fire and Mocking Jay. I'll be sure to book club about them soon! Read, Read, & Read some more! !